Peonies, The Manual of the American Peony Society, edited by James Boyd © 1928 American Peony Society: [Check List of Chinese Peonies in Commerce] Double Peonies, page 24. *Asa Gray. (Crousse, 1886.) 8.1 (Sym. 1921). Pink. ASA GRAY. (Crousse, 1886.) 8.1. Double type; medium size; midseason. 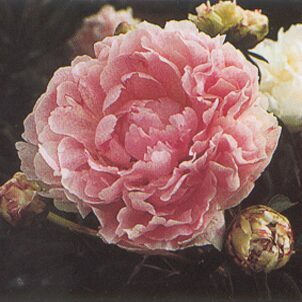 A flat-topped flower which early develops a prominent crown, covering its irregular collar; pale pink, thickly powdered with minute rosy dots, showing an occasional crimson edge on the center petals; fragrant. 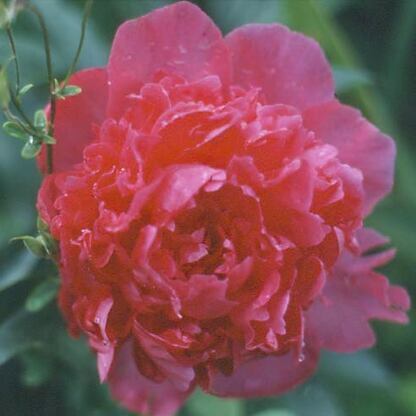 Medium height; blooms moderately; good stems and foliage. A curious, "double-decked" flower of interesting but scarcely beautiful color. The plant is not always reliable in growth and blooms. Asa Gray. 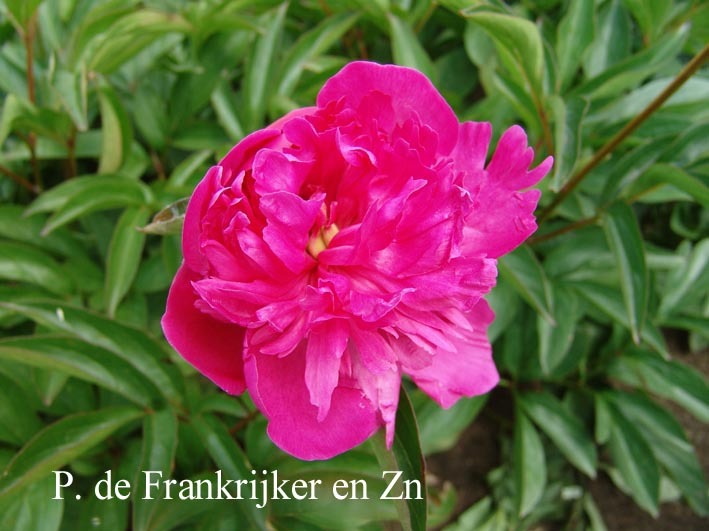 [Paeonia albiflora Gefüllt blühende Sorten] Dicht gefüllte, große lila Blum.